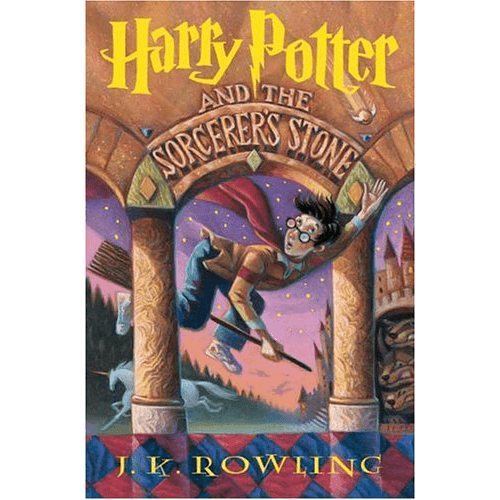 The new millennium started with the publishing of high-profile books about the adventures of a young magician trio led by Harry Potter. 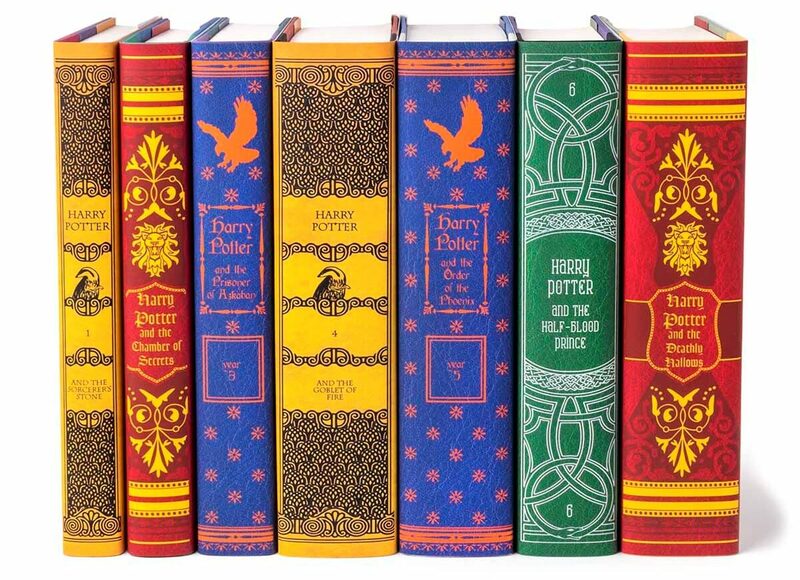 This chain of books became the most popular among children and teenagers all around the world, thus lots of fan clubs were created and fans even tried to resemble the main characters. Want to join these fan clubs or just to become familiar with these world-famous chef d’oeuvres? If so, check out the list from the high-rated to the worst installments of Harry Potter. 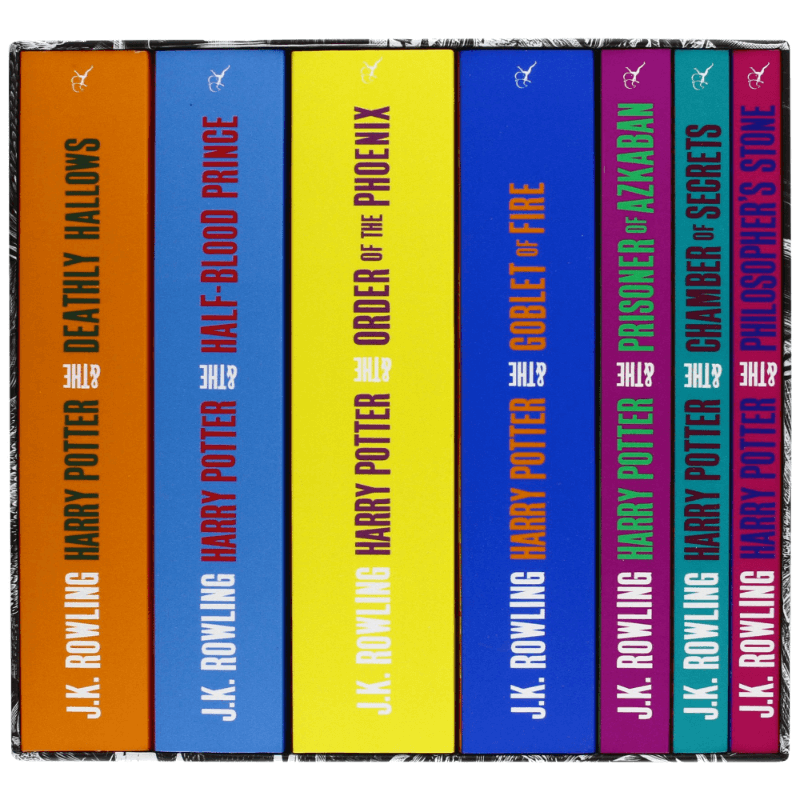 When it comes to ranking the best thing – it can be tough for anybody, but the final part Deathly Hallows of world’s best-seller seven volume plots is the top 7 of searches. Even 10 years after the last release, still the amount of fans continuously grows. And, here’s a curious fact: everybody remains true to their beloved characters from the pages of the book. The Deathly Hallows became like a drug for treating thirst for culminations. It paints death, Hogwarts destruction, and keeps the reader under pressure of intrigue. But with all that, Rowling cures by melting hearts with eternal friendship and kindness. Despite the protracted and insufficient episodes of Harry, Hermione, and Ron’s trip, this book doesn’t leave anybody apathetic. All who read this novel will have tears and smiles on their faces. The part about the Prisoner of Azkaban describes less about Voldemort and his interference, however this installment still remains one of the darkest and full of fear. It negates the childish character of previous volumes and gives more mysticism, which goes throughout the whole plot. Here, the author introduces new personages professor Lupin and Potter’s relative Sirius Black who have become beloved characters by lots of admirers. 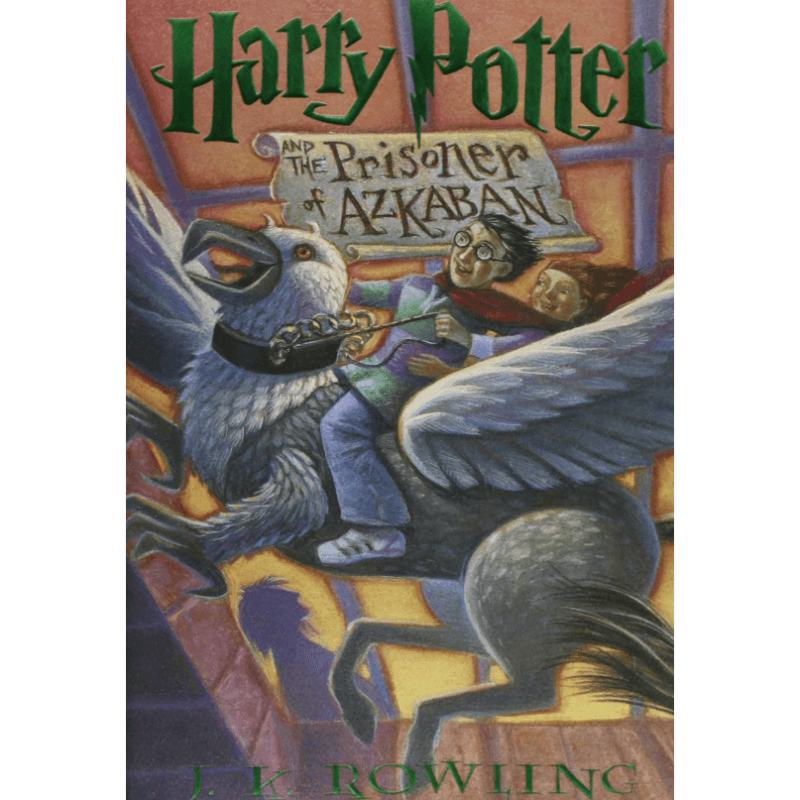 This book makes fans to come back to Potteries again and again, and if someone wants to dive into adventures of brave friends, the Prisoner of Azkaban should be the best Harry Potter book to start with. The Half-blood Prince is the missing part of puzzle – it links the past and the present, reveals who the You-Know-Who is, and keeps everyone’s attention even until the last pages. 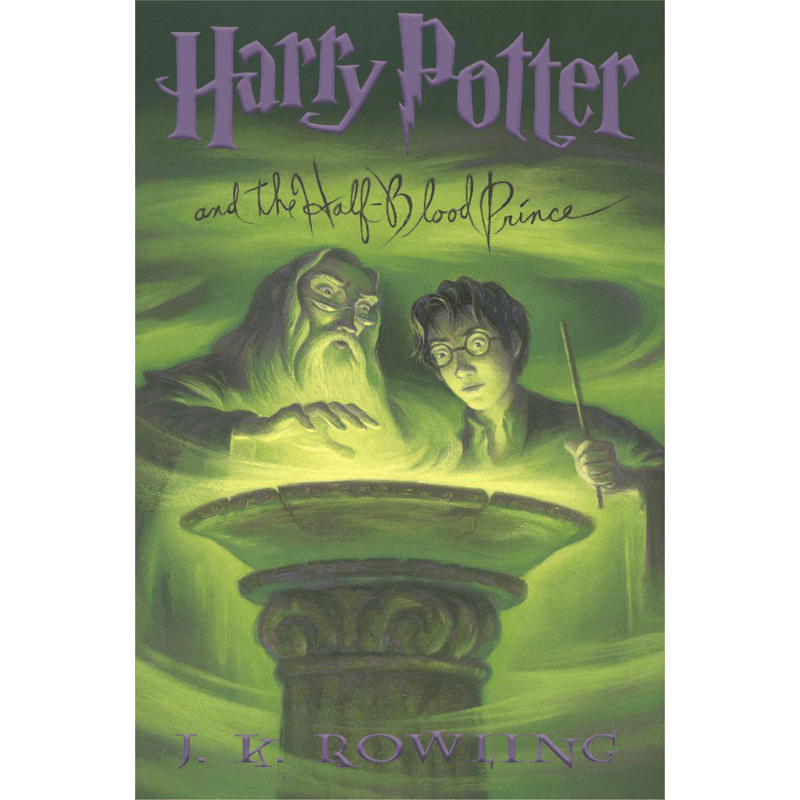 The name of this book also attracts readers and makes them want to investigate the half-blood prince’s biography. 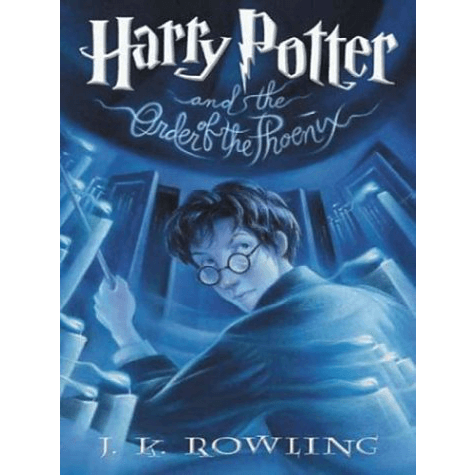 This volume is full of alluring and magical episodes what are accurately depicted by the author – this is the distinguishing manner of portrayal (giving characters vividness and realistic features) by J.K. Rowling. This volume contains everything that real drama needs: tears, anger, happiness, and empathy, and all these twists can win the hearts and minds of millions, although this installment is just the leading introduction to the trio’s greatest heroic achievements. This installment become the second of the 7 volume novel, and as usual, it introduces new characters and a prehistory of lots of things which appear in later parts. However, when reading each volume, the author wants us to be concentrated on that particular adventure, not as a chain of vital things. Thus, there is no explanation of Tom Riddle’s diary role and lack of regular days at Hogwarts. This part makes everyone who reads it forever remember about how it is colorfully described: the flying car, Ron’s fear of spiders, the Basilisk, the Phoenix, and lots of mysterious characters. And even while not a link between the rest of series, fans will always come back to this beloved team. This legendary introduction to an unusual representation of the magical world brought J. K. Rowling unprecedented success more than ever heard. Meanwhile, nobody knew where this tale for kids would lead and turn into. And, of course, it led to ubiquitous craziness for the next ten years and even more! This part couldn’t have been unsuccessful, but still, it has some disadvantages. 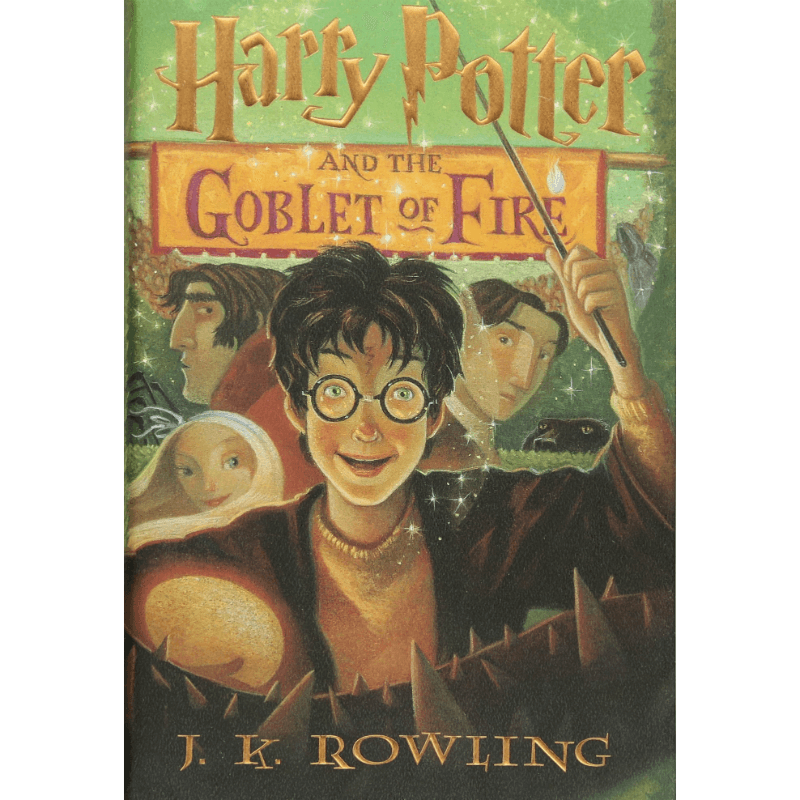 The Goblet of Fire is the first book which leaves quite a sharp aftertaste of the reality of the eternal fight – good vs evil. After a durable absence, Voldemort has appeared in the culminate part after legendary competition. Unfortunately, as usual, he brought new death, which was intended to be for main personage. In spite of dark atmosphere, firmly obstructing the reader’s mind, there are lots of positive moments which also keep fans enjoying the book. Even just Ron’s “tuxedo” for the ball is worth it! Everyone is familiar with Dolores Umbridge, as she appears in the Order of the Phoenix, and must be the most bothersome personage in the Harry Potter novels. Hogwarts is in danger while she becomes a principal and makes all the students follow her rules, otherwise punishment will be applied. Another challenge for the trio was teenage problems, especially as it concerns Harry, while he needs to handle his hormones and defeat the enemy, what is quite usual. Nevertheless, this part didn’t screw up either. The fight of the Order of the Phoenix and Voldemort’s team, although it is stiffly odd, revealed the real You-Know-Who’s readiness to attack. This fight remains one of the most unforgettable ones. The plot of this book is just something aside Potteries and shows quite a different manner of copy, even becoming a prehistory to the main 7 volume set. 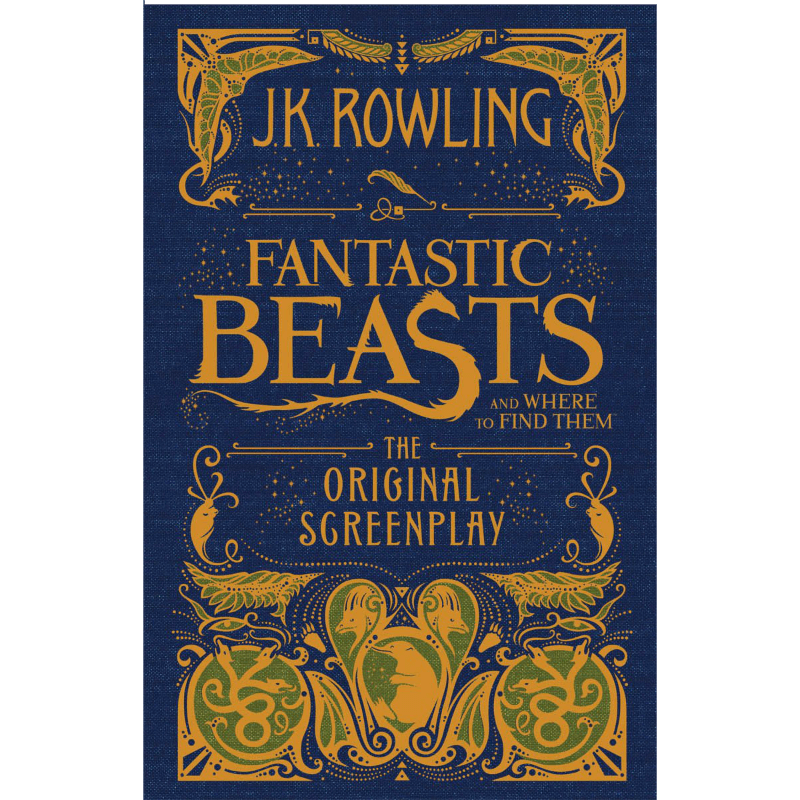 This book was written by Newt Scamander (the fake name of J. K. Rowling) and was designed like it is Harry Potter’s book. Here are colorfully described scenes of Newt Scamander’s adventures, well-known beasts from the Harry Potter novels, the magician world in 1920s, and, of course, the evil enemy Grindelwald. The book Fantastic Beasts and Where to Find Them should be the handbook for each Harry Potter’s real fan since it was officially approved at Hogwarts school. Each of those should be charming for children, besides, they demonstrate morals. 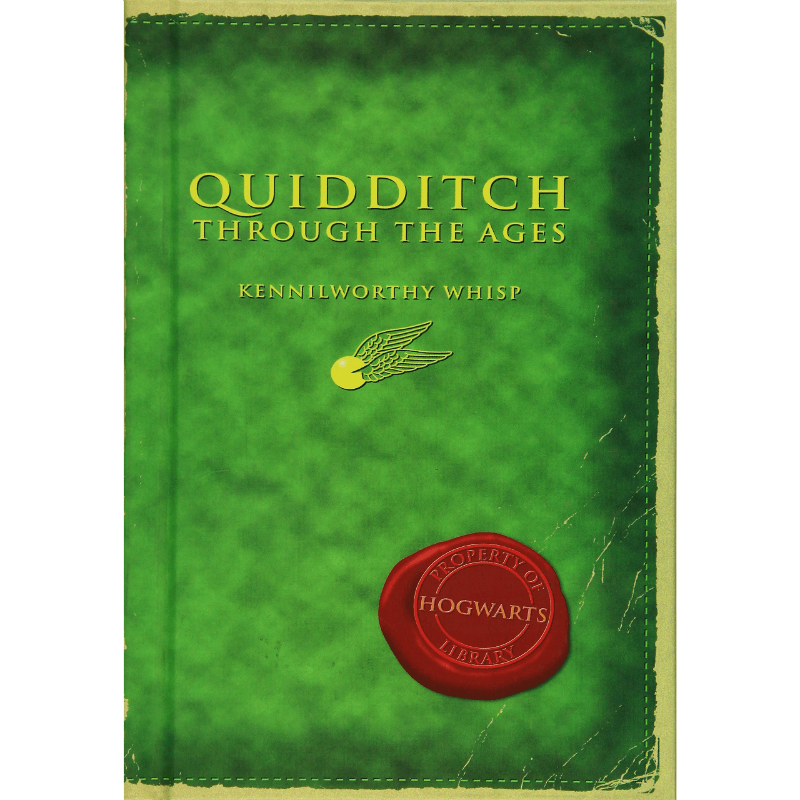 Quidditch Through the Ages is another particle of the wizards’ universe by J.K. Rowling. Taking into account that this game was artificially made up – everything is thoroughly thought-out. Even included is a description of the way to play quidditch in other countries, which makes readers discover new hidden facts about magical world of beasts, wizards, and witches. 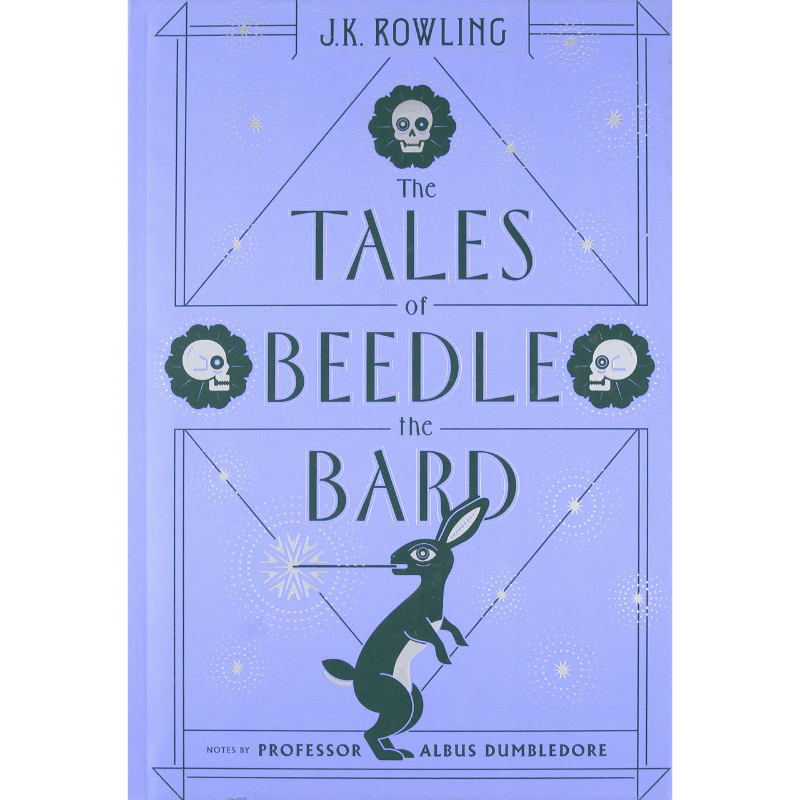 Among the other creations by Rowling, this book quite stands out since the latest parts of Potteries are written with the aftertaste of sadness, makes it imbued to the roots of the soul and empathized with. Meanwhile, this book won’t leave any such heavy emotions. 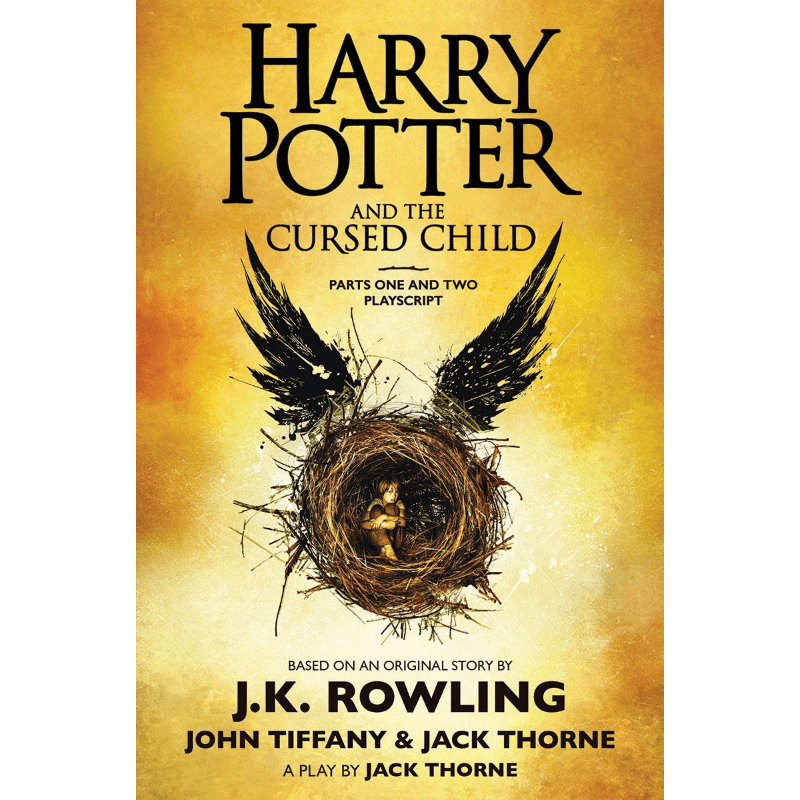 Harry Potter and the Cursed Child is the fictionally created play for delighting fans of Harry Potter. It was created after the great success of Deathly Hallows. This time J.K Rowling released this book with two new names of assistants. Unfortunately, this trick didn’t bring much recognition. Genuine fans will never miss a chance to read a new chapter of Harry’s adventures, but still the lack of spectacular episodes keep everyone preconceived. However, start reading the Cursed Child and, for sure, it will also drag you into the miracle world of magic. The Children’s collection must be the most beautiful among the set of books. It comes in a red box with the golden shape of a dragon on it. All of the books have paper covers, which can be removed easily. And, underneath the paper cover, the hardcover appears, which is individual for each book and is decorated with golden stars. This set could definitely decorate any shelf by its appearance! Despite the name as a Children’s collection, this set could be the most desirable even for adults, and it can be given as a gift for a birthday or for Christmas. 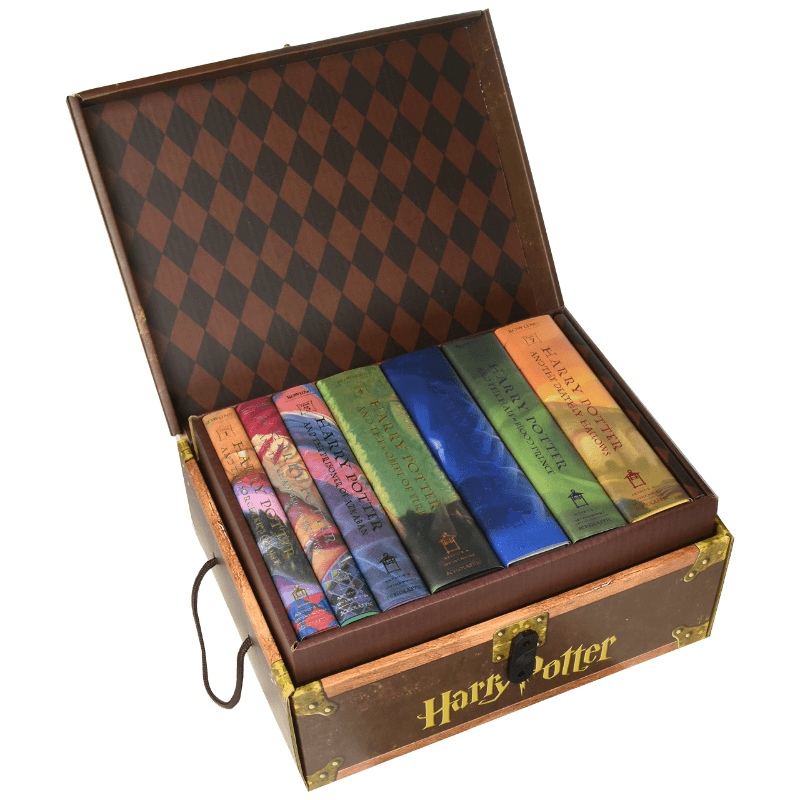 This collection is creatively decorated in a cardboard chest, which seems to be a real box for keeping course books for learning in Hogwarts. In addition, each book has its own indication of year of study that this tutorial is designed for. For a sense of reality, there is even a lock on the chest, which, oh my God, opens! This collection, for sure, would be the most interesting present for both adults and children’s birthdays or to get it from Santa. The boxing allows the reader to keep the books without dread that something will hurt them. 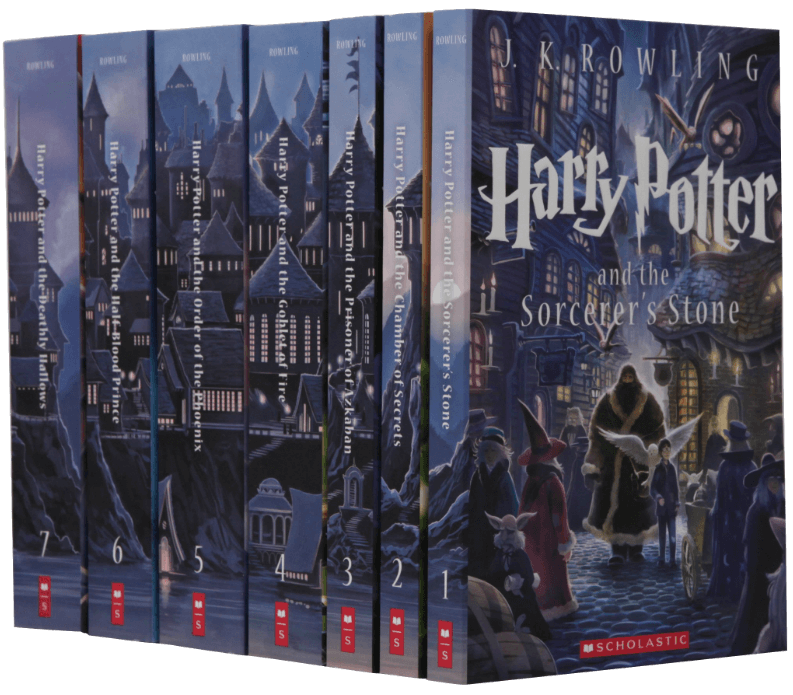 This set comes in a box, and joining all the volumes together forms the real picture on spines – an illustration of Hogwarts, while at the same time they have individual pictures on their covers. Despite the negative feedback received by people, still this set is fascinating and can be a good match for a birthday, Thanksgiving, or Christmas. This collection is quite unusual for Potteries fans. As a usual set, it comes in a box but the design of the books and box is different from others. Each volume comes in a different color with graphics on the cover. However, these graphics are not the same as we all got used to – they resemble pictures in old newspapers, but they remain pretty nice. The audience for this particular set is obvious – no drawings, no childish pictures, etc. This collection is designed for adult fans, and, certainly, they will be glad for such a present for any holiday. This set allows you to get what you want but for a more reasonable price. Interesting, but this box itself seems quite nice, and it performs its main purpose – to store the books. 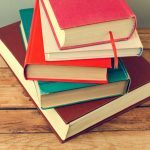 Beside the usual occasions for giving presents, these books might gladden those who really want to travel and hold a paper book in their hands – these books are a suitable size for trips. Meanwhile, children would be happy to get such a present, too. The abovementioned set is a bundle of books which are necessary for studying at Hogwarts for any wizard. 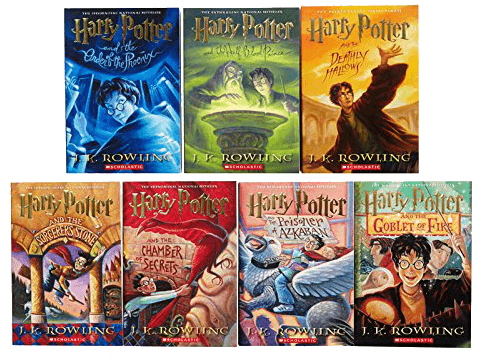 In fact, these are not books about the adventures of the famous trio but instead are the supplementary materials which are used by the main characters during their studying process. 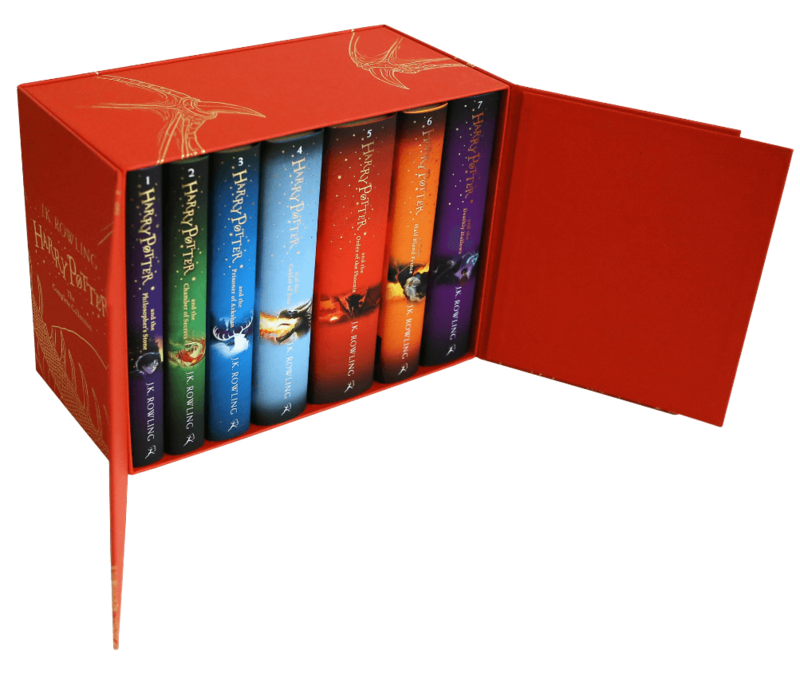 This collection could be the most desirable present for real fans, especially for Harry Potter’s anniversary. 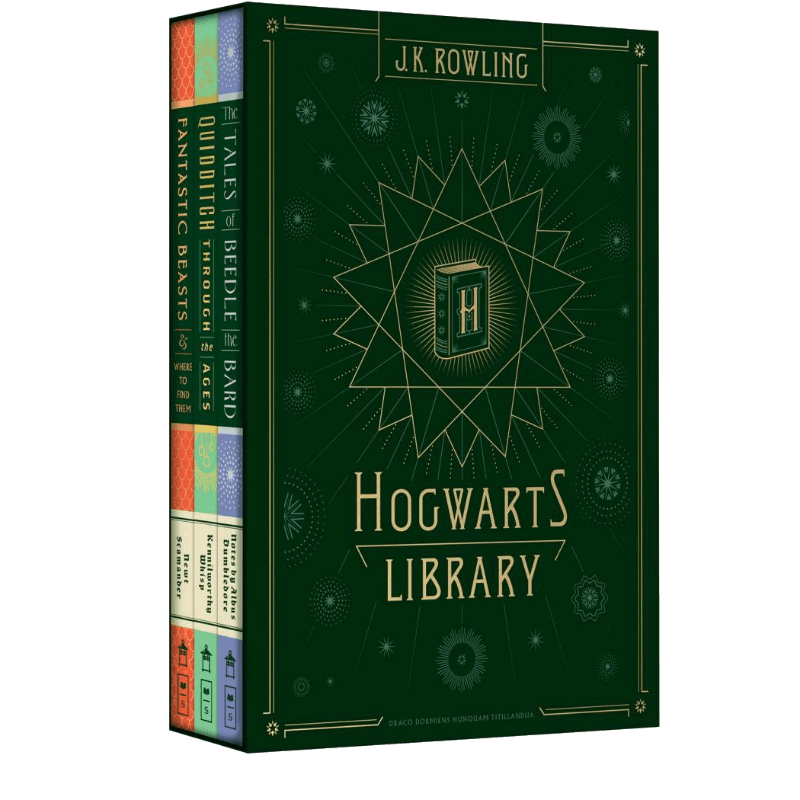 Nevertheless, this is also a nice present for traditional occasions or just to enjoy them by having a cup of coffee and the Hogwarts library as handbooks. The progress goes on and makes high-tech technologies work on people. 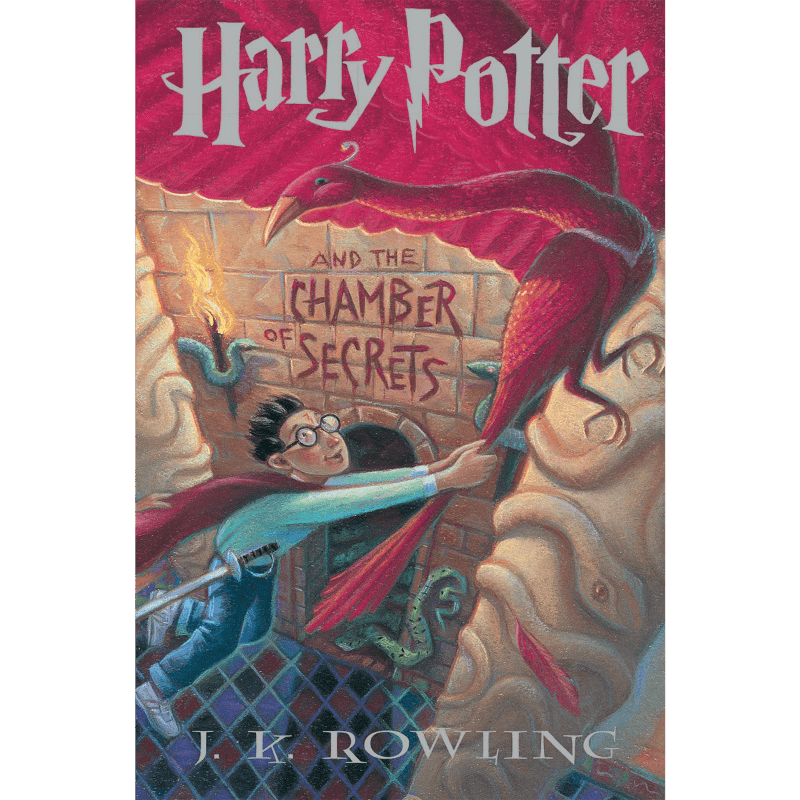 Readers always have choice to read or listen to books – and Harry Potter is no exception. 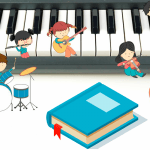 There are lots of audiobooks, but the most favorite are synchronized by famous storytellers Jim Dale and Stephen Fry. Both of them participated in the synchronizing of all the volumes of the novels about Harry Potter. Jim is a voice actor, who can produce up to a few voices. Jim create characters and scenes but his voice makes the audience imagine the character. The list of advantages and disadvantages goes on and on, still there is no exceptional winner. 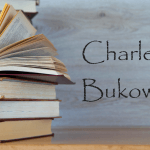 Both of them are professionals at their trade and give vividness to the novels, based on their individual feelings and manners of storytelling. After finishing Harry Potter and the Deathly Hallows, there were 11 million of samples sold during the first day. Joanne collected names of plants, characters, and places which seemed quite mysterious. 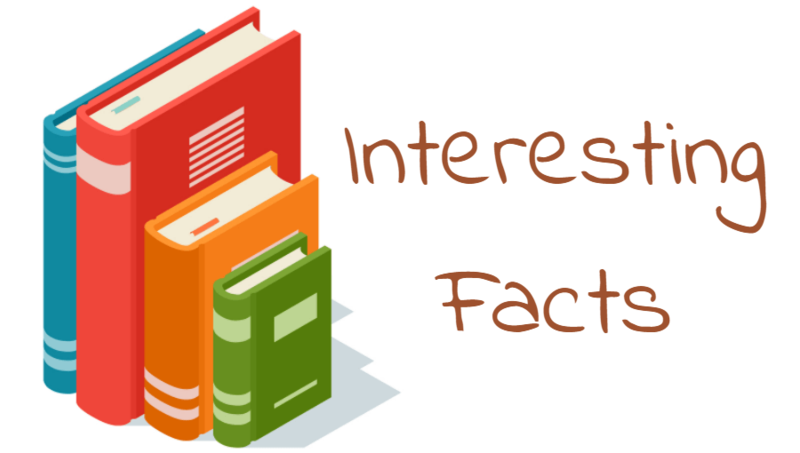 All those facts appeared while the author was in the process of creating the novel. She faced up to many difficulties and life challenges, but these efforts were well worth it. Harry Potter is the extraordinary chef-d’oeuvre of this entire generation. 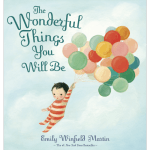 These books encouraged many children to read and many authors to make new masterpieces. Surprisingly, all this hard work was performed by a slender woman who also had serious problems, ups and downs, problems, etc. Even though J. K. Rowling became a well-known person in the 21st century, is it worth it? Certainly, yes! At least these masterpieces give an opportunity for BooKKooks to create such reviews!